Simon Cole, counsellor: growth and healing, mindfulness meditation, individual/couple retreats. 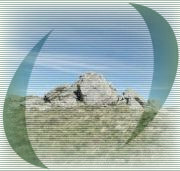 Simon Cole is a counsellor in SW France and online. I am a senior-accredited practitioner and professional member of the British Association for Counselling and Psychotherapy and I’ve been working in the field of counselling and therapy for over 25 years. I trained at Newcastle University and the College of Ripon & York St John (Leeds University), being awarded a Masters in Counselling with distinction. Post training I studied transactional analysis for a year, as well as relationship counselling with Joseph Zinker. While working in the NHS I attended in-service mental health-related courses, together with training in post-traumatic stress and critical incident de-briefing. As well as working with the Samaritans, I have worked professionally as a counsellor, in drug and alcohol intervention services, primary and secondary care in the NHS, and have maintained a regular private caseload of counselling and supervision. As a trainer I developed and managed a range of counselling courses at Carlisle College, including an accredited diploma course. I was privileged to assist many to develop in the profession of psychological helping using an approach which allowed for individuality and personal growth. The person-centred trainer, like the person-centred counsellor or psychotherapist, is as much a companion on a shared journey as s/he is a guide pointing out the way. To hold this belief with humility is all-important for the therapist. Coming to France, I wanted to create a place for therapeutic rest and change, which echoed the philosophy of RD Laing and was grounded in the insights of Carl Rogers and Martin Buber. I believe that we have achieved that at Le Sentier Tranquille.